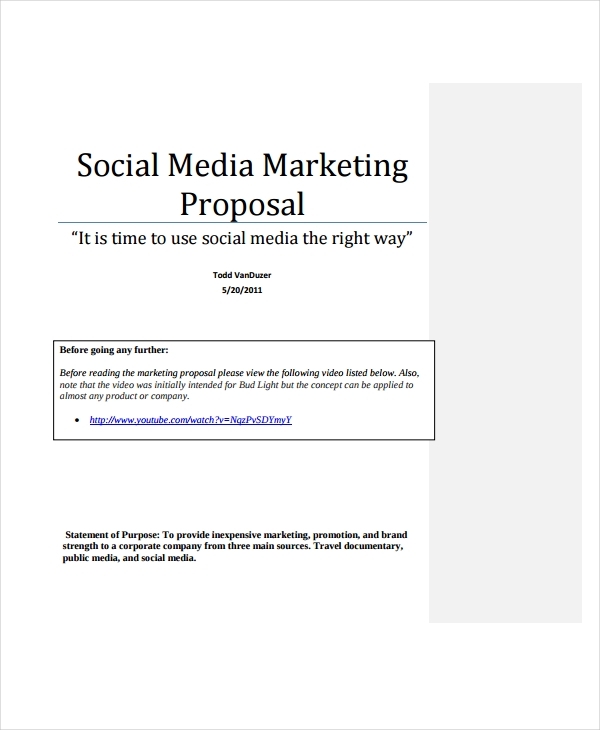 A social media marketing proposal is a kind of business proposal examples & samples that focuses on the social media activities of the business and how it can be better through time. 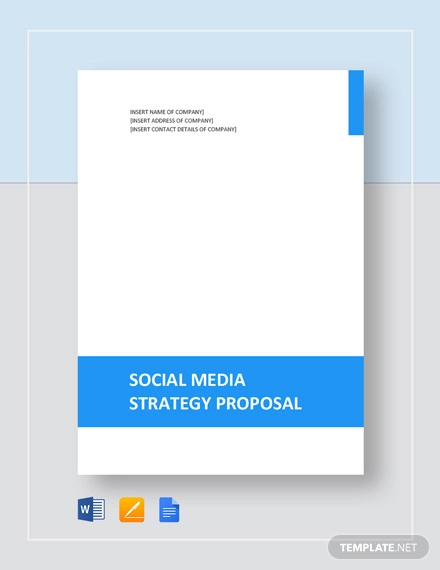 If you already know how to make an event planning service proposal, then making a social media marketing proposal will already be easy for you as it can also be created in the same manner. The only different is that you need to focus on online interactions rather than on physical or actual transactions during events. 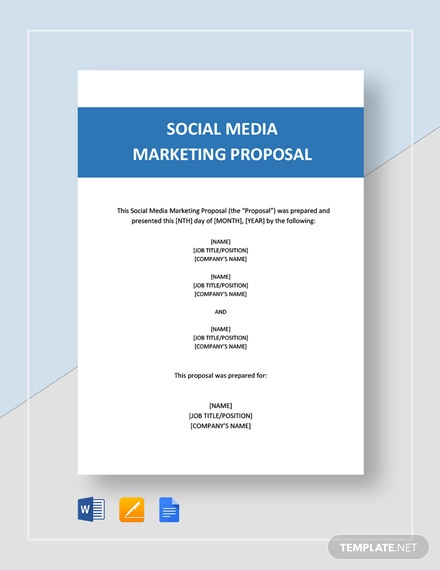 Creating a social media marketing proposal is just like developing service proposal examples in a way that you should make sure that the clients will be aware of the professional and expert services that you can provide them with in relation to their social media exposure needs. 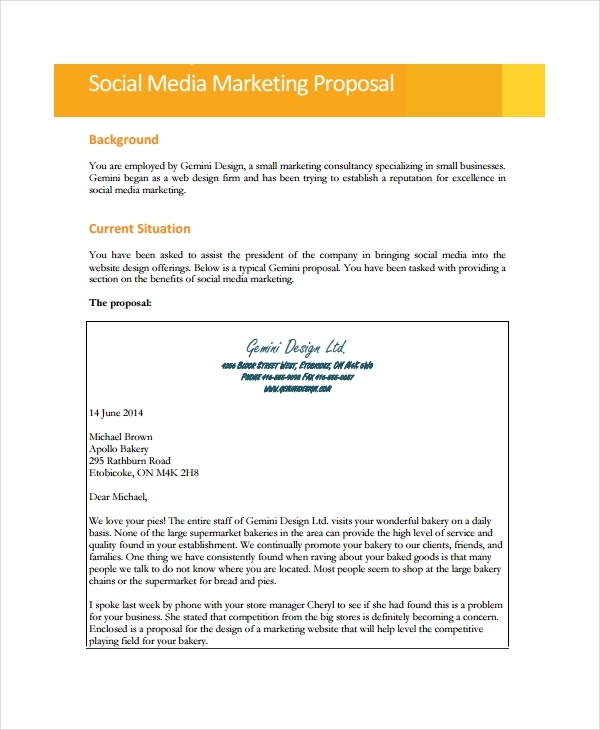 We have put together a number of social media marketing proposal examples to help you start developing your business’ own proposal. 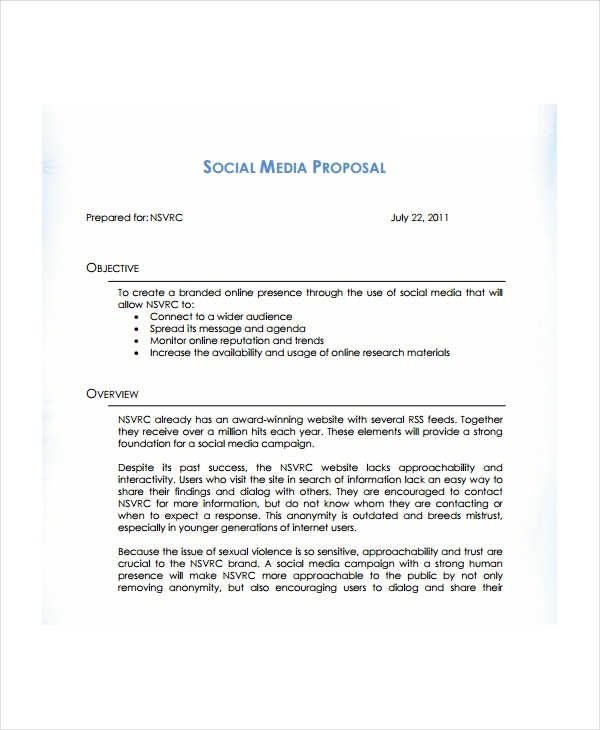 You may think that a social media marketing proposal is easier to create compared to research proposal examples & samples. 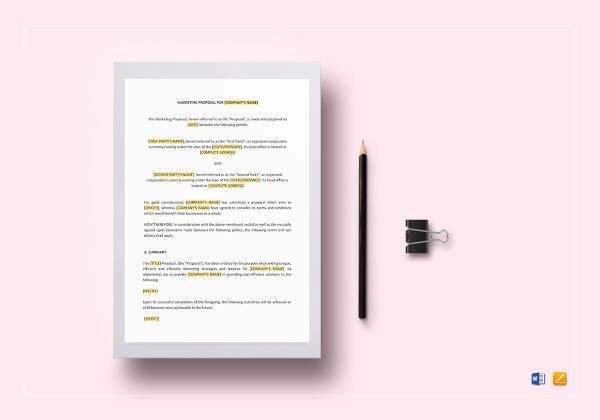 However, putting together all the relevant details that can help you win your clients is also a hard task that you need to fulfill. 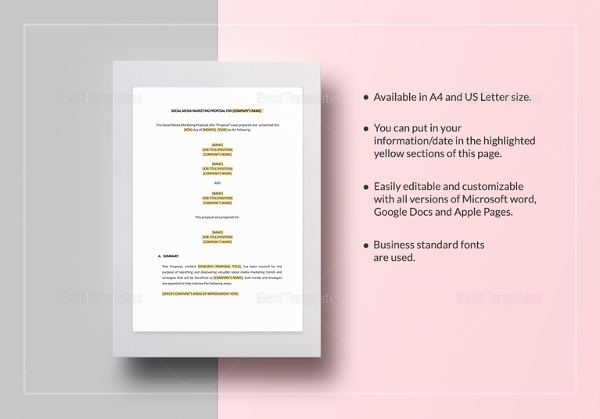 Ensure that all the information specified above can be seen in the proposal that you will develop. 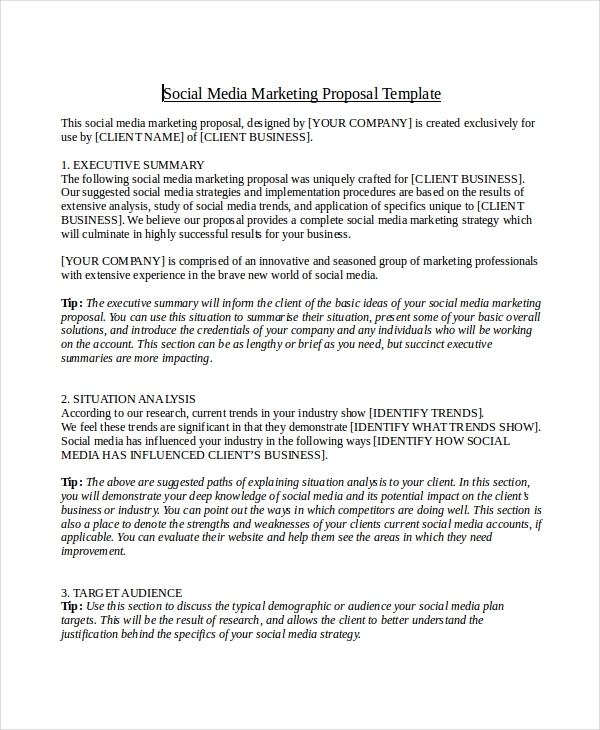 The way that you develop and present your social media marketing proposal is a representation of what your business is made of. 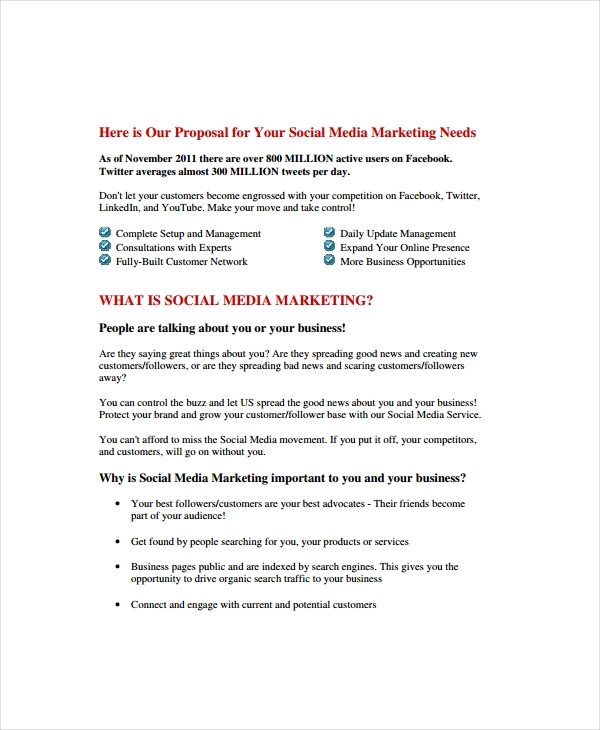 This is why you have to create a social media marketing proposal that can reflect the things where you are good at. 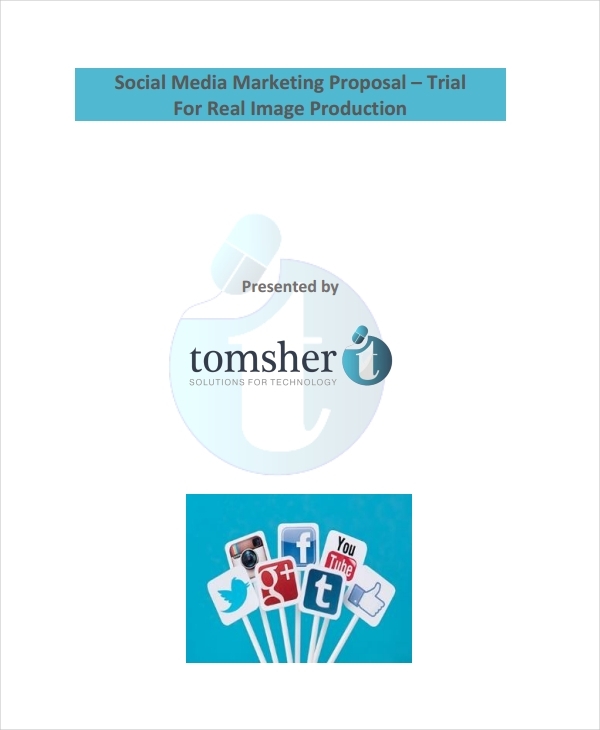 Making short proposal examples & samples is the way to go as a precise and simple social media marketing proposal can directly get the attention of your target audience. 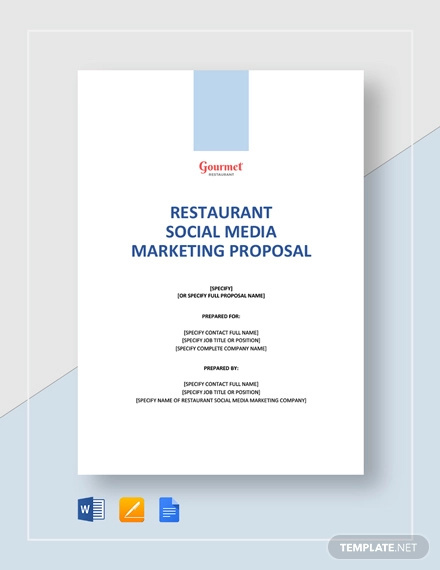 Come up with professional proposal examples & samples now through the help from the samples, tips, guidelines and other information that you have read from this post. 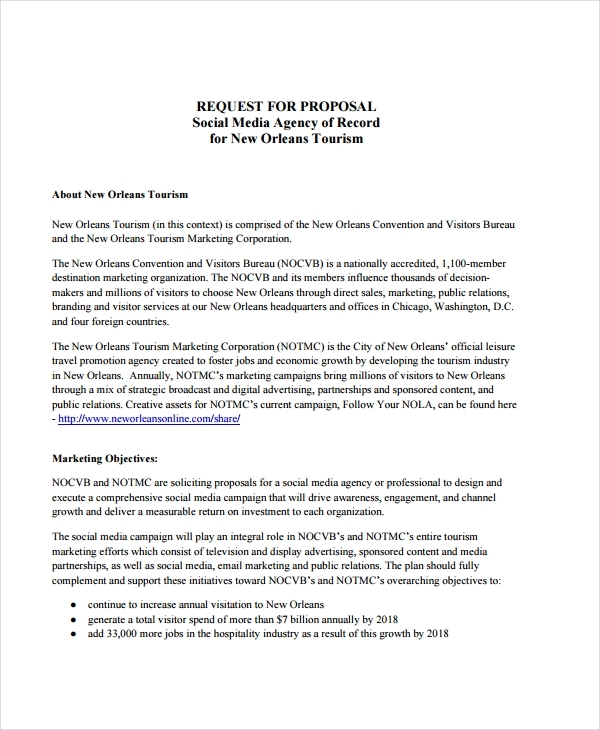 Try making the proposal from scratch or you can also use templates for an easier and faster time of content formatting. 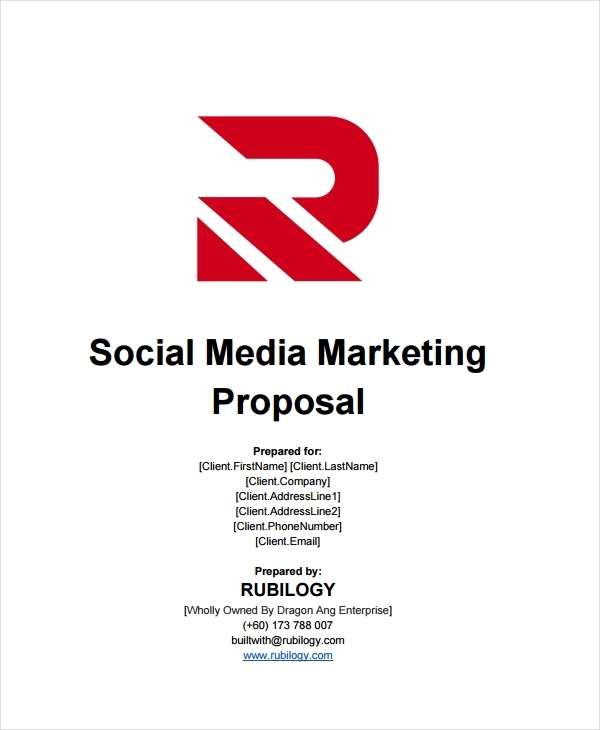 Always observe the development of your social media marketing proposal so you can ensure that it can affect your business positively especially when it comes to maintaining your credibility, getting sales leads, closing social media marketing deals and achieving your sales targets.